By the time your child with ADHD is entering primary school, all personal self-care skills should be well developed. The skills of dressing, personal hygiene and looking after their belongings should be well established. 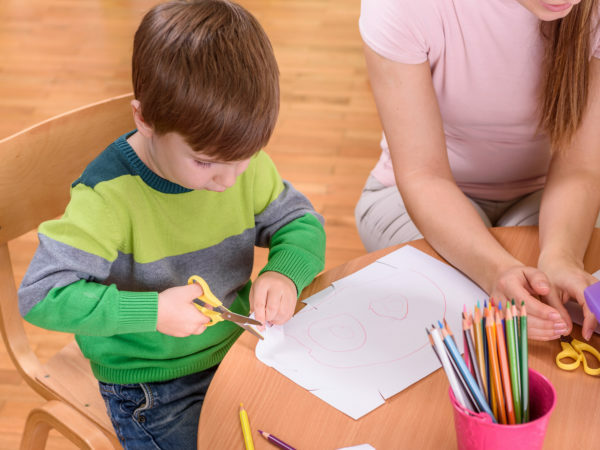 It is an expectation that children entering primary school will have a level of independence however, they may still be acquiring some organisational and attention to task skills. Routines that have been established at kindergarten and at home will help your child transition and adapt to life at school. Due to the symptoms of ADHD; attention difficulties, impulsivity and hyperactivity, your child with the assistance of adults at school and home will need to manage these to limit the impact on the personal skill development related to learning, friendships, general social skills and safety. All children have a learning style so it is important that this information is transferred from teacher to teacher each year to assist your child. Gain the child’s attention before speaking, use a cue eg. ‘all eyes on me’, keep contact and then deliver the information. These can help children with ADHD as it will provide predictability and alleviate anxiety. Break work tasks into smaller chunks so that the child can see the end point and will be less likely to jump to other distractions as the workload will be less overwhelming. Build in break times so that the child knows that a change is coming where they can move about appropriately. This will be an important environment for learning. It might be that the child’s time on the playground is negotiated in the first instance if they find the environment too challenging. It is better to have a short successful time than the regulated time which may run too long. Organising these initial structures for your child will help the school experience to be successful. Acquiring these personal self-management skills will develop over time. If your child has a further learning disability such as Autism Spectrum Disorder(ASD) or an Intellectual Disability(ID) then further strategies to support them will need to be considered.